Oh don't worry: the fact that this is my tenth post of vitriolic rambling is as depressing for me as it might be for you. On the other hand, I am impressed by the sheer stamina of the theme and although I don't know how they would look, I reckon I have at least another ten posts in me. Crikey. Ten! You can click the title link for the rest by the way. But what exactly do I talk about this year? Could it be the unprecedented increase in apparent losership (a clear sign of whippage in my opinion)? Or how about how pervasive it's becoming in places I previously thought immune (oh why Karachi, why?)? No, perhaps what I will talk about is my increasing indifference to the theme here, not because I denounce most forms of blatant commercialism, but because I've become even more cynical about anything and everything, of which my distaste of this day is but a mere iceberg tip. But hey, at least I got my own back on the day - Krispy Kreme offered me some sweets if I was to complete the old "Roses are red..." poem at the time I was claiming. I did so, humorously so I might add, and got not just one but two original glazed doughnuts as a reward. That extra doughnut was the difference between me being exploited and doing the exploiting, and so I see no problem seeing it as a win for the little man. There's no need to thank me. This is so depressing. 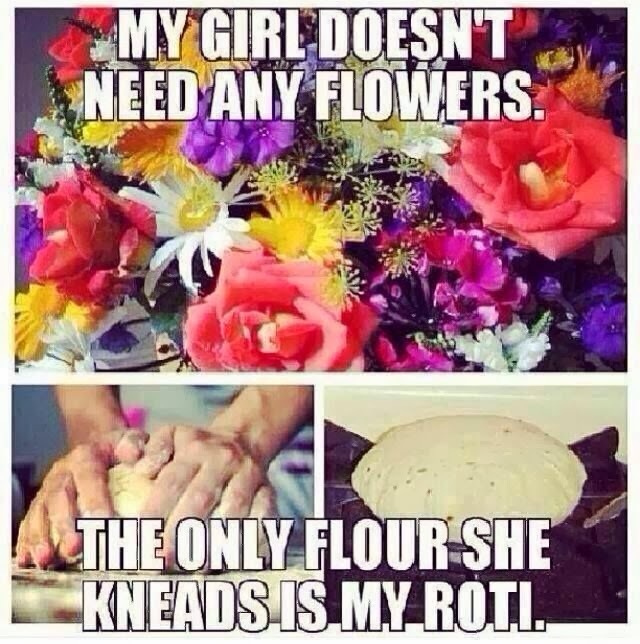 But I did like the roti joke.